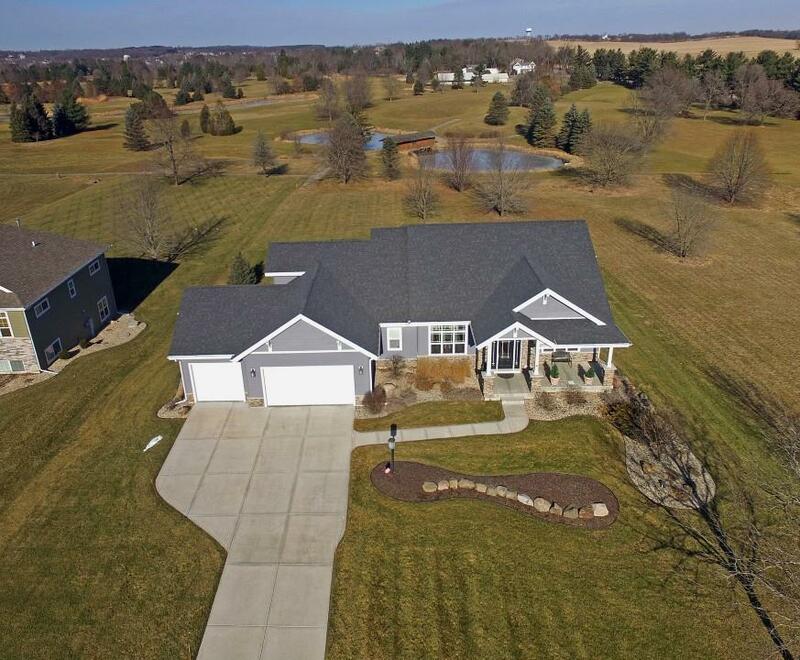 Desirable open concept ranch on golf course in the Town of Middleton. Bright and sunny w/amazing views! 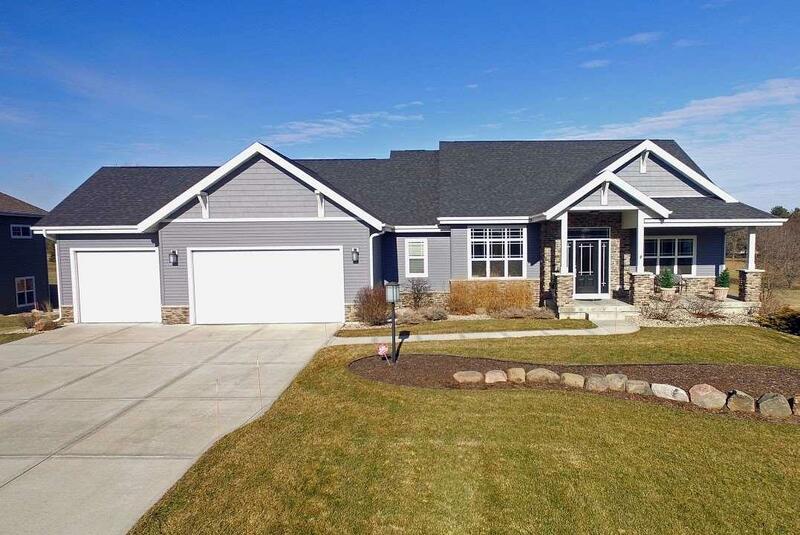 Chefs kitchen w/gas stove, hood vent, SS appliances, granite tops & oversized island. Large dinette area & formal dining room. Great room w/vaulted ceiling & gas fireplace. Private master suite w/walk in closet, large tiled shower & double vanity. 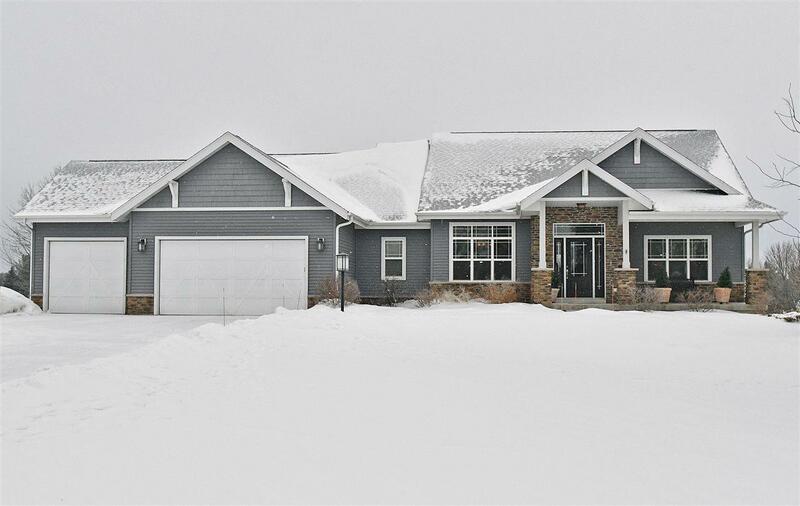 A home built for entertaining & relaxing w/finished walk out LL featuring wet bar, wine cellar and exercise room. 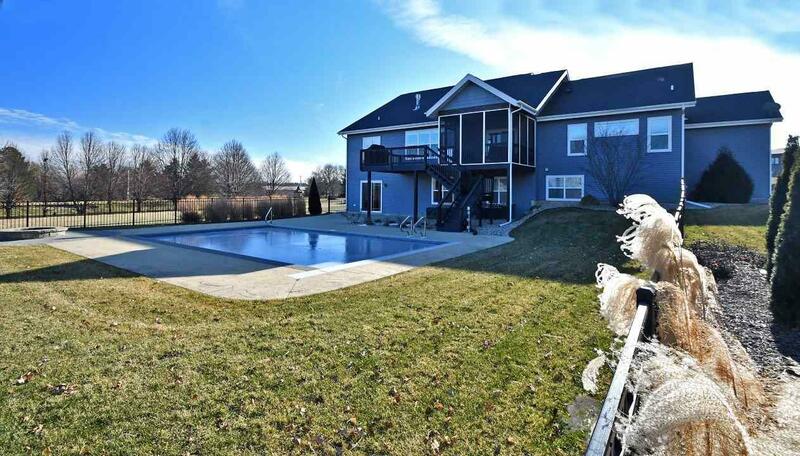 Outdoor living at its best with screen porch, deck, in ground sport pool & firepit.